Books having a combination of spiritual themes and pragmatic opinions that nourish the gray matter by stimulating our thoughts are certainly a delight. Such books certainly help in confronting and solving the day to day problems and challenges that life throws at us, but are also instrumental for whetting the mind by their sagacious and informative teachings. The authors Atma Sumit Agarwal and Vidhika Dalmia have come up with such a book “The book of Life” for the general readers to relish. The authors, having lived all their life in Kolkata, have connected over the teachings of Master Choa Kok Sui- Modern founder of Pranic healing and Arhatic yoga. The instructions of Master Choa Kok Sui, to whom this book is dedicated; and the tenets of Pranic healing are incorporated in the book very well and in a simple manner so that even persons not familiar with this system of energy medicine that utilizes Prana to balance, harmonize and transform the body’s energy processes, can understand it. 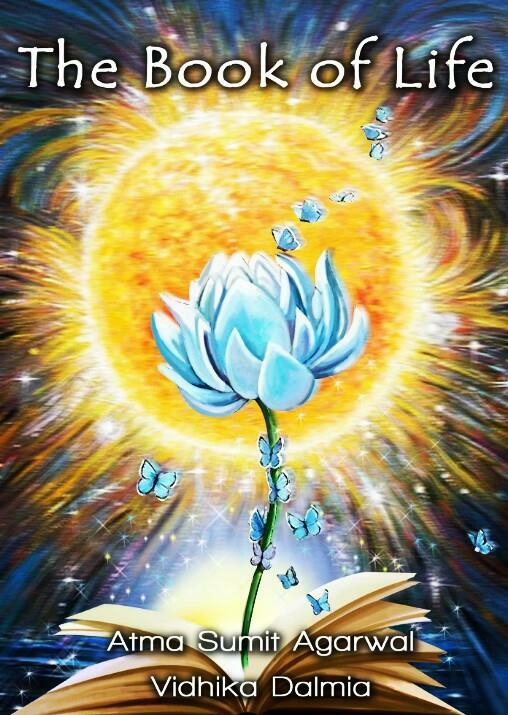 The book cover shows a blue-coloured lotus emanating from a doctrinal book and many butterflies are seen crowding near it. Behind the lotus is a golden-yellow illuminated halo with kaleidoscopic formations in the periphery, which provides it with an aura of enlightenment and mysticism. This portrays that the butterflies are approaching the lotus for it is a source of knowledge and wisdom, which likens it to the same effect that the reader gets on reading this book. The book is a collection of numerous essays and articles that delve into various spiritual as well as realistic themes. There is also a peppering of various sayings and quotes that provides it with elements of motivation. The song ‘Heal the world, make it a better place’ by Michael Jackson is used for explaining the concept of spiritual healing in the book. The quotes of Johnny Depp also find a place, so do those by Mahatma Gandhi and Helen Forrester, which points to the inclusivist and diverse nature of the book and the integration of numerous philosophies and great thoughts to bring together a self-help guide. However, some aspects need to be explained better and explored more in depth and had the book been written in the form of a manual jotting to-do exercises and practical points, and not in prosaic form, it would have been more helpful. But given the pedagogic nature of the book, the enlightening prose also fascinates the reader, in addition to being instructive. This is a book that offers didactic teaching for people who want to know more about Pranic healing, philosophy and various spiritual aspects of life. It is an excellent source for those in the quest of finding various unanswered questions of life pertaining to the spiritual realm; with some interesting thoughts and opinions interspersed in its pages.